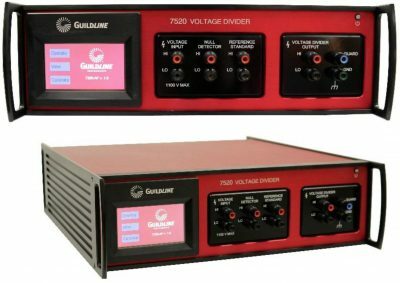 Guildline Instruments 6622A-QHR Resistance Bridge has been designed to provide better uncertainties and more operational capability in Direct Current Comparator (DCC) Resistance Bridges used with Quantum Hall Resistance Systems (i.e. QHRs). The 6622A-QHR incorporates many new design and measurement technologies to provide a Precision Resistance Bridge operating at room temperature that will scale from the quantum Hall resistance value of 12 906.4035 Ω to nominal resistance values of 1 kΩ, 10 kΩ, and 100 kΩ. The 6622A-QHR full operating range is from 0.01 Ω to 100 kΩ. 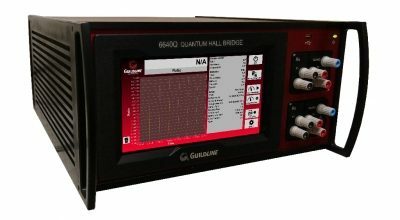 Guildline Instruments 6622A-QHR resistance bridge has been designed to provide better uncertainties and more operational capability in Direct Current Comparator (DCC) Resistance Bridges used with Quantum Hall Resistance Systems (i.e. QHRs). The 6622A-QHR incorporates many new design and measurement technologies to provide a Precision Resistance Bridge operating at room temperature that will scale from the quantum Hall resistance value of 12 906.4035 Ω to nominal resistance values of 1 kΩ, 10 kΩ, and 100 kΩ. 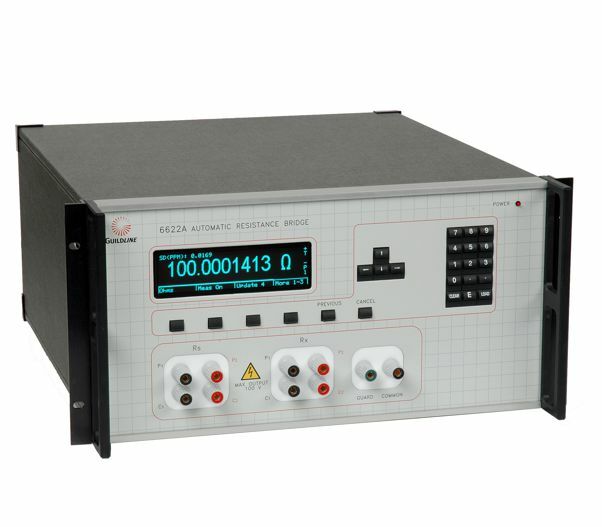 The 6622A-QHR full operating range is from 0.01 Ω to 100 kΩ. The 6622A-QHR Bridge, utilizing an internal calibrated Nanovoltmeter as the null detector, is used to measure Hall resistances (Rxy) and longitudinal (Rxx) resistances and contact resistance of a quantum Hall device. 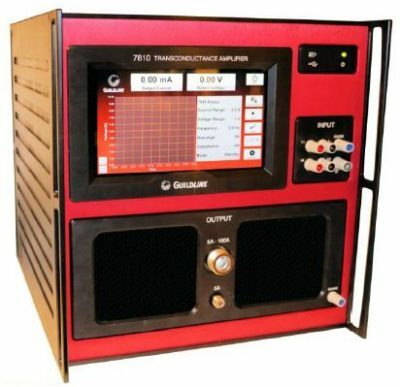 The 6622AQHR is capable of making the measurements necessary to ensure the accuracy of the QHR Resistance Standard.